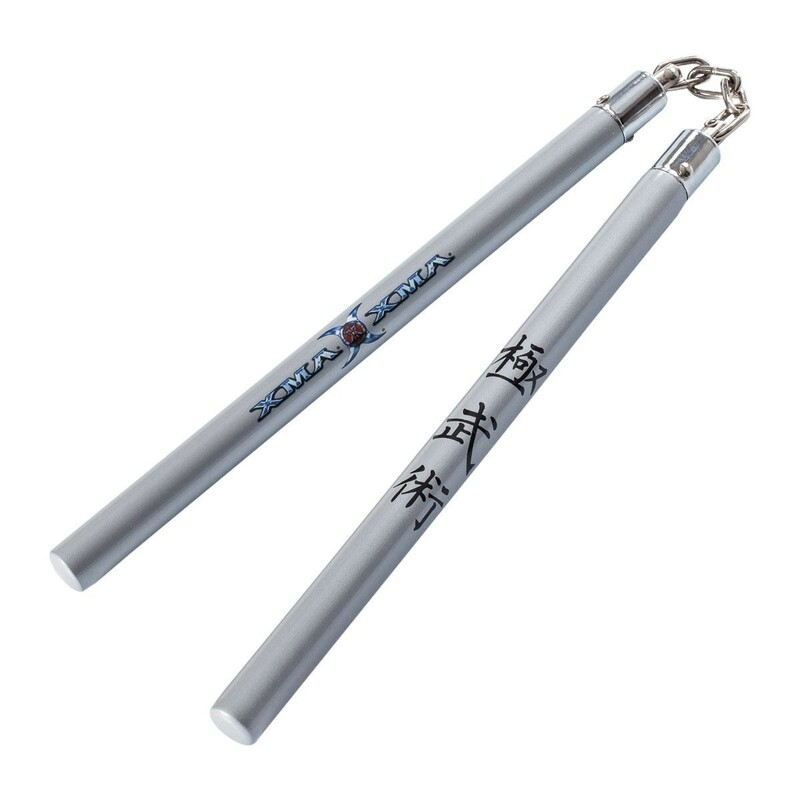 XMA logo and kanji emblazoned on handle to complete the stunning look. Available in 9 inch or 12 inch. Diameter is 0.7 inch. Chain Details: 9 inch is a 2-1/2 inch three link chain. 12 inch is a 3-/1/4 four link chain. Colors: Black, Silver or Red. 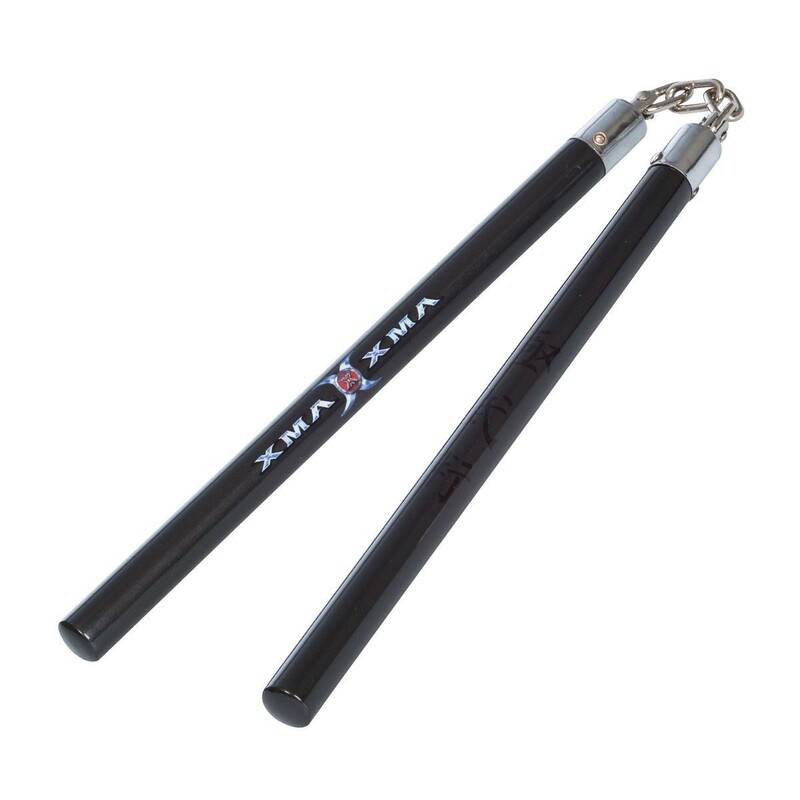 Round graphite handles connected with a smooth ball bering chain attachment designed for Xtreme action and smooth performance.